This is likely to be long-ish, in part because I have a lot of hopefully useful information to impart, and in part because it is just so ridiculously exciting to finally be at this stage! Today we are talking countertops. Specifically for the basement, we will be chatting kitchen counters soon enough (or actually not NEARLY soon enough for my tastes, but you know what I meant). The console underneath the television in the media room. The laundry room sink and cabinets. This antique commode, which goes into one of the basement bedrooms. I'm going to start with how we started, researching the right products. For that, we went to a place that carries all of the different products we wanted to consider, Cosentino. The short version is that we wanted to be able to consider everything from natural stone and marble and granite to manmade materials like quartzite and other composite products, and we didn't want to have to go to different companies to explore our options. Cosentino is an international company known for the highest quality products and most cutting edge materials, so we met with them first. And it was an eye-opening experience. We explained the different spaces and how we plan to use them. We talked about our aesthetic. We talked about our budget. The Cosentino team listened carefully and then took us through the different options for each space. 1. Function, not look, should be your first consideration. It's easy to fall in love with all those white marble kitchens all over Pinterest these days, but the truth is, marble is soft, porous, and hard to maintain. Gorgeous? Yes. Useable in the right places? Of course. But if you are a red wine drinker, or have kids, or need a space to really be a heavy duty work space, marble is not the best choice. 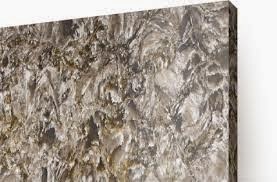 There are better materials that can give you the look you want for almost any application, so form really should follow function for countertops or you will spend the rest of your life annoyed. Case in point? The kitchen counters at our family weekend place are gorgeous. Deep gray natural stone. Its been a nightmare since the day it was installed. It has been sealed numerous times, but if you get one drop of oil on it anywhere, it soaks right in and leaves a stain. The edges are all chipping, hit one heavy pot to close to the edge and a little chunk will fly right off. They looked fantastic when they were new, but we regret them. 2. Be flexible and patient. Don't expect to make this decision quickly, and be willing to change the picture you have in your head if you discover the material you think you need so desperately is either out of your budget or not the best material for your space. 3. Budget appropriately. I had no idea that the most expensive, and frankly, most important part of countertops is the fabrication! I sort of just presumed that the place where I bought the material would have people to turn it into my countertops, and that would be a simple labor charge. Cosentino was very clear with me. You need to have a terrific fabricator on board, and their costs are often higher than the cost of the material itself. I wanted to learn why, so they connected me with one of their favorite fabricators and I went on a field trip! Stone Masters is a company of countertop artisans, and I don't use that term lightly. Their commitment to the finest fabrication of countertops in any material is extraordinary, and I met with the owner, Tom, who took me through the process! He's been in the business almost 20 years, like his father before him, and their facility is completely state of the art. Check out some of the equipment! This suction-cup thingy can move up to a 2000 lb slab! One of the saws, imported from Holland. Those blades are the size of a tire and cost $500 to replace! The CNC machine, a computer-driven cutter that is accurate to .001 of an inch. It can cut details as big as sink cutouts or as small as etched designs. Tom explained that the reason good fabrication is so expensive is that accuracy and attention to detail are incredibly important. All of this specialized equipment requires talented people to run them, as well as the craftsmen who do all of the finish-work by hand. Edging, bevels, rounding corners, it all happens by hand. Here are a couple of the artists who were working when I was there! Working on a beveled edge. Tom said that when you are picking some of your materials, especially natural ones, it can affect the price of fabrication. Some granites, for example, have embedded crystals or veins of steel or other natural metals. Crystals can break out whole, especially on edges, which can make fancy edging nearly impossible. Metal can actually create sparks and fire when being cut, even though the saws have a constant water stream! You can see the water dripping off the table as this piece of marble gets cut. This is the concrete table surface. When the saw cuts through the materials, it gets sharpened by the concrete surface below. They have to re-pour the concrete about every two months, which is about the time they have to replace the blade. This is a semi-precious agate, and that is the actual natural color! He did a back-lit fireplace surround, so that the light could shine though. This stuff is $16,000 per 10x6 slab!!! Apparently it was nearly $60K just for the fireplace surround. Tom assured me that our counters would be much less Robin Leach worthy. On a busy day his team can do 5 whole kitchens! It was so cool to see the whole operation and I strongly suggest if you get to go meet your fabricator that you take the time, it is really an exciting field trip. After meeting with Tom and seeing the work being done at Stone Masters, we went back to Cosentino to make the final decisions! For the media center console, we decided on Silestone, which is a man-made quartz product that is amazingly durable. We picked a color called Pacific from the Ocean series. It has great movement, and is a sort of mottled blue-gray with ivory and a taupe. It will pick up some of the other colors in the room and I think will look amazing against the wood base. For the bathroom vanity, we wanted a natural stone. The room has limestone accents and a concrete floor, so we thought something a little warmer would be good.  We decided on a deep gray soapstone. For the laundry room, we went back to Silestone, and went with Cemento Spa. And finally, for that antique commode, which had a cracked marble top that needed replacement, Tom found us a remnant of marble that will be the perfect thing! Best part? They will be ready for installation next week, so you'll have another update very soon. Stay tuned for more updates, its going to be full steam ahead over here for the next two weeks as we get the basement buttoned up! 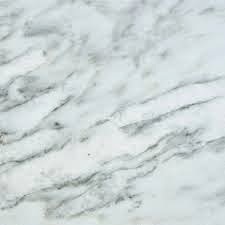 I'm so glad you mentioned how inappropriate white marble is for a kitchen. My husband is a marble & granite fabricator and when we watch HGTV he has fits! "Why would they put white marble in a KITCHEN?" Drives him insane. We did white silestone in our kitchen and love it (it is such an easy to clean material). We originally ordered a piece of aluminum to go behind our stove, but the company that we ordered it from had their warehouse destroyed by Sandy so they couldn't deliver. We put the same silestone behind the stove and HATED it. Thank goodness it was in the dead of winter on an outside wall. Between the heat of the stove and the freezing temps outside the first night we used the stove it cracked. I never was so happy… We replaced with aluminum looking small brick tiles. 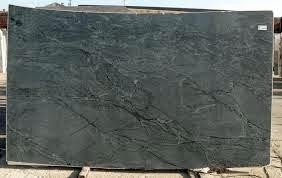 When picking your soapstone, did you, by chance, see pietra cardosa? I've now used it in two kitchens and LOVE it! Similar in look to soap stone, but I like the color better and feel it works better in a kitchen. YMMV in a bathroom. Love your choices! We didn't pick the soapstone for the kitchen, the architect did. And my parents went for it...but they aren't big cooks so it didn't occur to them it might be problematic.